Although orthodox denominations bearing the name of Christ have their differences in some doctrines, they tend to historically agree on major articles of faith. (With the increase in apostasy, that may not be happening so much nowadays.) One of the most common areas of agreement is the Trinity: The Father is God, Jesus is God, the Holy Spirit is God. And yet, there is only one God! People get bothered when a theological question is given the response of, "It's a mystery". That is often an excuse for someone who does not know what he or she claims to believe, or maybe does not want to actually look for an answer. This is devastating to children. However, there are times when mystery really is the best explanation. We are not expected to fully understand everything about the eternal Creator God, our Redeemer, you know. 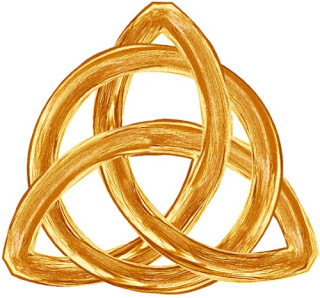 We cannot fully understand the Trinity. Some owlhoots and cultists deny the existence of the Trinity. One of their excuses is that the word is not found in Scripture, but the doctrine is clearly indicated there. They tend to "proof text" by lassoing verses that fit their preconceptions, ripping them out of context, and corralling them as "evidence" for their views. Doesn't work that way, old son. Even though biblical creationists emphasize that God the Son is the Creator (John 1:1-3, Colossians 1:16), we know that the Trinity was present at creation, Also, the early Church Fathers clearly believed in the Trinity. This doctrine is essential to salvation, but cultists, atheists, uninformed religious folks, and ultra-liberal "Christians" say that we are wrong. For my rejection of the false belief of the Trinity, I need only to rely on history, and just one Bible reference although there are many. That reference is Mark12:29-34. Here Jesus defends the Shema, which every Jew learns when he first learns to speak, and repeats each morning. This was an ideal time for the Lord Jesus to teach the Trinity. But he did not. Why? I have studied this topic on and off for 50 years. I wouldn’t dare to accept your delusion. Why don’t you re-study it? You work for Creation Ministries, which talk a lot about checking things out. The tremendous work you do is marred by this fallacy. It’s TIME TO DO SOMETHING ABOUT IT! 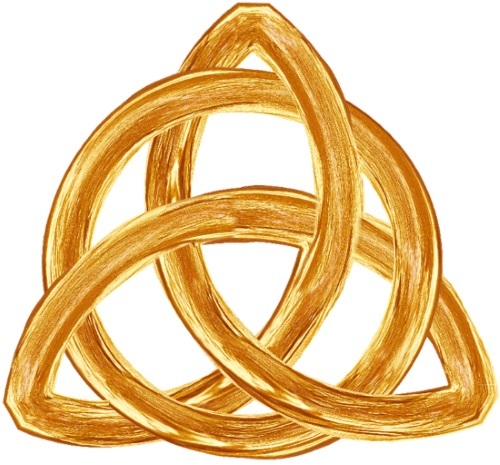 To read Lita's response, click on "Discussing the Trinity".